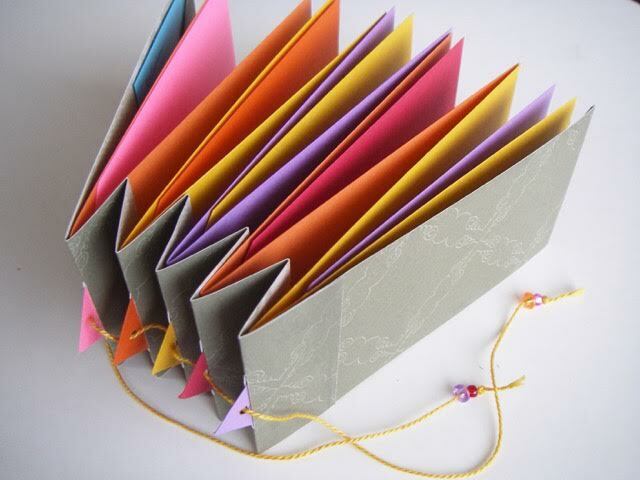 Lynne Gurnee will lead the March workshop to make this Triangle-Pierced Slip & Slide Accordion Book. Inspired by Dolores G's November 2016 exchange book, this book is a variation created while thinking about last month's Pocket & Tags theme. Using multiple brightly colored cardstock will make this a lively looking book, but subtle colors will also look nice. The example shown in this photo has the same cardstock for the cover and spine, but you may choose different colors.